What is the best poker software to use when playing online? When it comes to poker software, many people are pretty unsure what to think of it. Even worse, if they poker playing skills are not too good they have some real trouble picking the poker software that will help them improve their skills. Considering the various software tools available on the internet today, this is something that is not too surprising. It is pretty hard to pick the right thing when the market is overflowed with it. The best thing to do it is to follow a pretty simple procedure that we will here explain and this will help you eliminate the possibility of making an error. Of course, this means that you will be saving some real money since these software solutions are not too cheap. First thing you need to determine is the need. Namely, there are a lot of the potential problems you might be encountering and the software should be used to overcome the issue. Since the usage of these software solutions is pretty different from product to product, it means that you need to buy the one that will actually treat the issue you are having problems with. So, you need to pinpoint the problem. If you are having problems with determining the strength of your hand, it means that the hand strength meter of some kind is the solution you need. There are many of the more or less sophisticated solutions that are appropriate for this usage and most of them are giving you the odds. The best programs will take care of the number of players at the table and will give the odds taking in the consideration all of the parameters. Of course, the best solutions are also the most expensive ones. In the case when you are having trouble “reading” the opponent’s game, some of the poker tracker tools is the answer for this. These tools are making the record of your opponent’s hands and make an evaluation based on the various calculations. That evaluation should tell you what to expect from him or her. It is designed to substitute long time of observing and reading a player’s game and in a pretty short time you ill have the most common patterns of your opponent’s moves. This makes the prediction easier and you can guess when they are bluffing and when they are not. This is quite tricky thing in most of the cases and the great deal of the natural born poker talents are the strongest in this area of expertise. There are also some other possibilities that these software solutions may cover. Namely, if you are having serious trouble with evaluating your position at the table during the tournament, there are some calculators which are able to monitor the whole table and all of your opponents, giving you the complete insight. Of course, every player’s style is highlighted and constantly monitored, as well as your position at the table. This is one of the most complete software and it is quite natural that this kind of tool is all but cheap. Finally, there are some solutions designed for training and they are mostly free. Another thing that has to be considered is the type of the poker game you are focusing on. 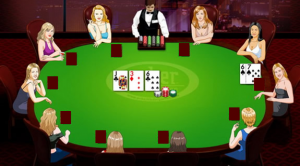 Since there are many versions of poker played on the internet, you need to buy a solution that is meant for the kind of poker you are playing. There would be no benefit of using the Stud software for the Texas Hold ‘Em or Omaha. Luckily, most of the solutions are covering various games but still; make sure that the solution you are considering is adapted to the kind of poker you are interested in. Once you have determined the needs the most of the job choosing the ideal software is done. All that is left is to compare the prices and do some research and you are good to go. The research is not too complicated to conduct and visiting some forums and reading the reviews will help you out. Once you have chosen the solution that you find the best for your needs and acceptable by the price all that is left to do is to learn how it works and enjoy.